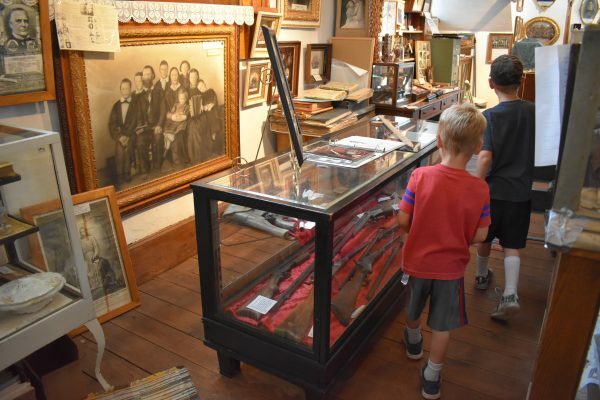 Many Utah towns have their own Daughters of the Utah Pioneers museum, but Parowan’s really stands out. This is because it was built in an old Tabernacle, called the Rock Church. This tabernacle was built by the Pioneers in the same style as other tabernacles in Logan, Paris (Idaho), St. George, and Salt Lake. The Parowan building is much smaller but still has a balcony that runs along parallel walls and the back of the building. 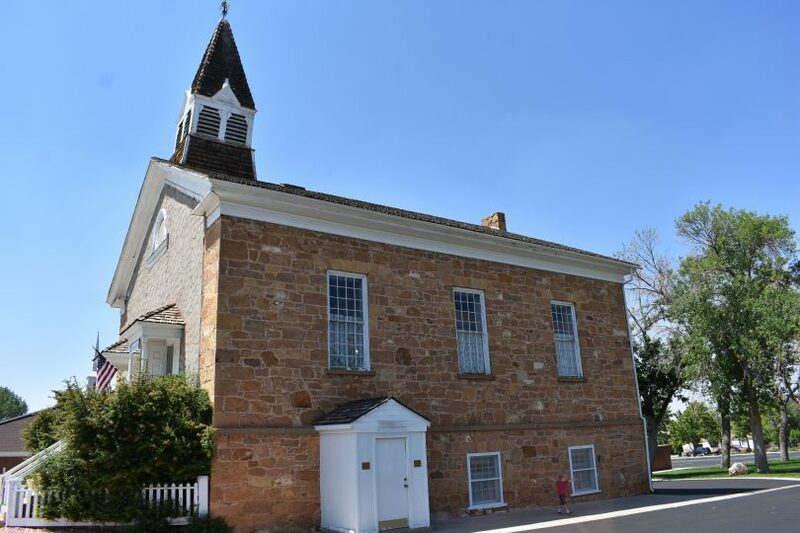 Just visiting Parowan to see this old church is a treat! 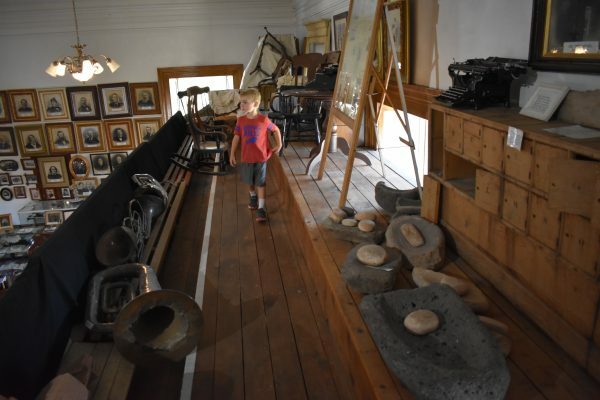 Inside the Old Rock Church, the Daughters of the Utah Pioneers have set up a museum with thousands of relics. Pioneer pictures are hung on the balcony railing. Clothing, tools, and furniture are arranged into different displays. There is even a wall dedicated to those soldiers from Parowan who served their country in the World Wars. 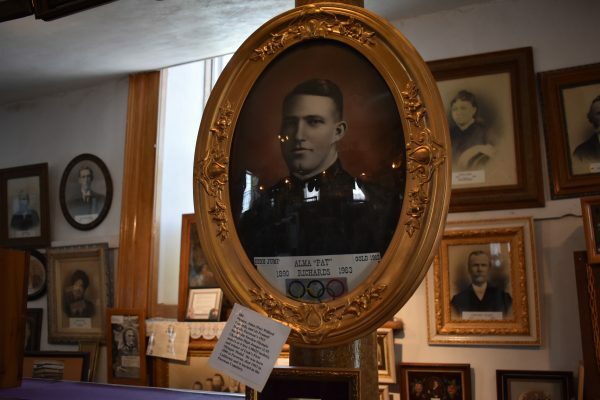 Alma Richards was an Olympian and he was from Parowan. 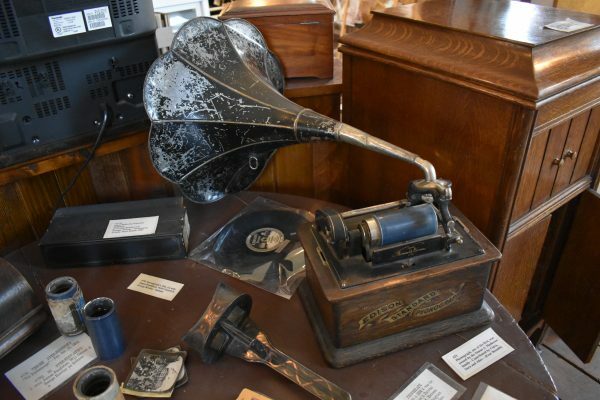 We love seeing the old pioneer relics like this phonograph. There is a lot to see in this museum. In the balcony there are additional artifacts, so make sure to venture up the stairs. There is a lot of old farm equipment up there, as well as a great view of the entire church. You can imagine what it might have looked like when they held meetings here. Make sure to walk upstairs. 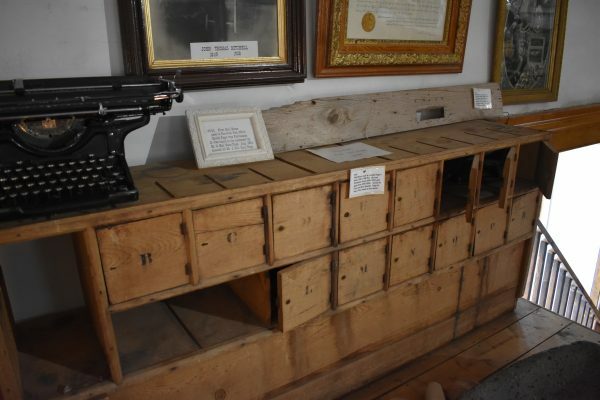 We really liked the old post office boxes on display. 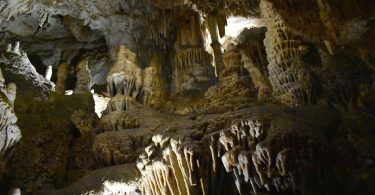 The stairs are narrow and so are the aisles upstairs, so be careful. 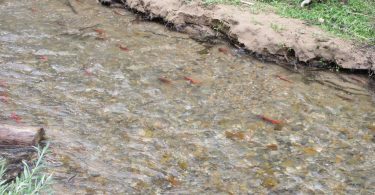 Parowan refers to itself as the jumping off point for the southwest. 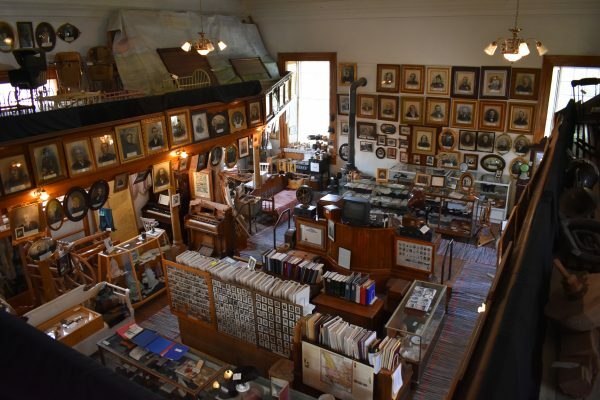 Someone has taken the time to round up a lot of historical items for this museum, but the town has some nice sites, too. Be sure to visit the Parowan Industrial Park and Parowan Heritage Park at the south end of town. 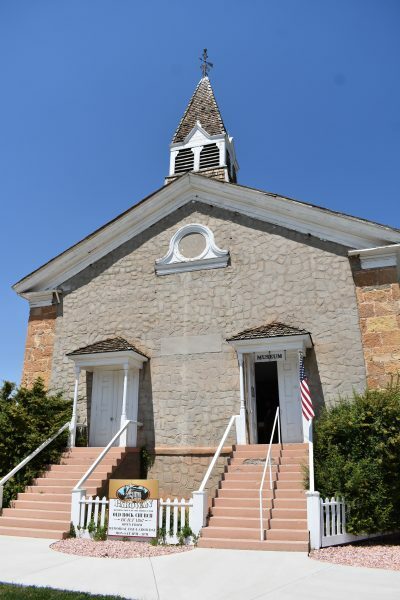 Parowan Old Rock Church is located at 90 S Main St. in Parowan.